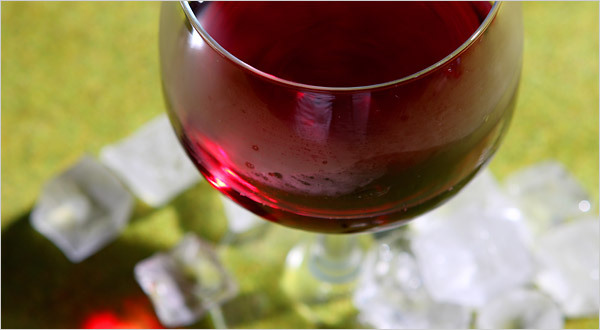 Red wines are traditionally served at room temperature, which is why your mother probably told you never to drink your red wine chilled. However, this tradition originated during the dark ages, a time where room temperatures were much cooler than they are now. Whether you blame global warming or recognize that people no longer live in concrete fortresses, the average room temperature has risen over the centuries. This means that it is acceptable and almost recommended to drink red wine chilled (especially in the summer). An old red that is too warm tastes old, and a young red can’t show off its flavors. The perfect temperature to drink your chilled red is around 62℉- 65℉ (30 minutes in the refrigerator), which gives you the ability to separate the fruit profile and tannic structure. Not all reds need time in the refrigerator, but that does not mean they should not be chilled. Full-bodied wines like Zinfandel are best chilled in an ice bucket. With the heat of summer rising, now is the perfect time to go against the norm and try a chilled glass of your favorite red. This entry was posted in Lifestyle, Wine Knowledge. Bookmark the permalink.